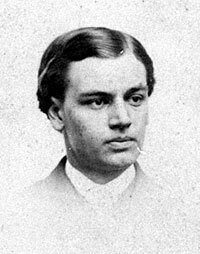 Robert Todd Lincoln, or “Bob” and “Prince of Rails” (a nickname developed on the President-elect’s trip to Washington and one which Robert detested), was named after Mary Todd’s father and was the oldest of the Lincoln children. Cross-eyed as child, he developed into a reserved but determined teenager. He left home at 16 to attend Phillips Exeter and Harvard University. Robert disliked public life although he sometimes liked the public attention he received. Sometime priggish and self-involved, he was emotionally distant from his father, with whom he spent less time as a child than did his brothers. He quickly developed a sense for fashion and clothes that his father lacked. He also had a sense of decorum, which both his mother and father were capable of violating – as when they invited General and Mrs. Tom Thumb for a honeymoon visit to the White House in 1863. Robert would come home every few months, bringing new joy to the family circle. He was very anxious to quit school and enter the army, but the move was sternly opposed by his mother. ‘We have lost one son, and his loss is as much as I can bear, without being called to make another sacrifice,’ she would say, when the subject was under discussion. 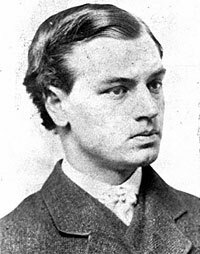 On the day President Lincoln was assassinated, Captain Robert Lincoln breakfasted with the family. After Robert showed the President a picture of General Robert E. Lee, Mr. Lincoln told Robert: ” ‘It is a good face; it is the face of a noble, noble, brave man. I am glad the war is over at last.’ Looking up at Robert, he continued: ‘Well, my son, you have returned safely from the front. The war is now closed, and we soon will live in peace with the brave man that have been fighting against us. I trust that the era of good feeling has returned with the war, and henceforth we shall live in peace. Now listen to me, Robert: you must lay aside your uniform, and return to college. I wish you to read law for three years, and at the end of that time I hope that we will be able to tell whether you will make a lawyer or not.” His face was more cheerful than I had seen it for a long while, and he seemed to be in a generous, forgiving mood,” wrote Elizabeth Keckley.9 Robert had to assume the lead role for the family in his father’s funeral – since his mother was completely prostrated by the assassination. 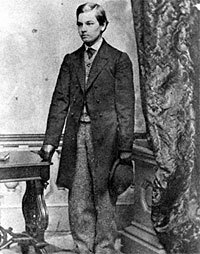 Presidential aide Edward Duffield Neil later wrote that “his manly bearing on that trying occasion made me feel that he was a worthy son of a worthy father.”10 On April 21, 1865, Robert resigned his short-lived commission in the army. After his father’s death, Robert resigned from the Army and moved with his mother to Chicago where he practiced law. Robert married Mary Harlan in 1868; they had three children, but their only son died as a teenager. His mother’s spending habits led him to have her confined to an insane asylum in 1875. 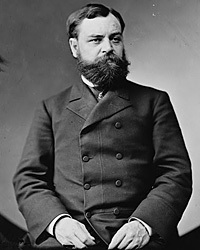 More public-spirited than a public person, he served under Presidents James Garfield and Chester Arthur as Secretary of War (1881-85) and later as Minister to Great Britain (1889-92). His presence at the assassinations of both Garfield and President William McKinley made him self-conscious about “a certain fatality about the presidential function when I am present.” He served as president of the Pullman Company and led a very quiet life prior to his death in 1926, always attempting to preserve and protect the memory of his father. Margaret Leech, Reveille in Washington, p. 292 (New York Herald, undated). Rufus Rockwell Wilson, editor, Intimate Memories of Lincoln, p. 499. Jean H. Baker, Mary Todd Lincoln, p. 225. Elizabeth Keckley, Behind the Scenes, pp. 121-22. Michael Burlingame, editor, At Lincoln’s Side: John Hay’s Civil War Correspondence and Selected Writings, p. 48. Keckley, Behind the Scenes, pp. 137-138. Wilson, editor, Intimate Memories of Lincoln, p. 613. Goff, Robert Todd Lincoln: A Man in His Own Right, pp. 53-54. Jason Emerson, Giant in the Shadows: The Life of Robert Todd Lincoln, p. 3. © 2002-2019 The Lehrman Institute. All rights reserved. Founded by The Lehrman Institute.